2 Bedroom Terraced House For Sale in Blackburn for Offers Over £77,500. The property comprises an entrance hallway leading to the spacious dining room, front lounge and kitchen. On the first floor there are is a very spacious front bedroom with fitted storage cupboards, a second double bedroom at the rear with an impressive four piece family bathroom with a walk in double shower, and separate bath. The home further benefits from gas central heating and double glazing throughout. 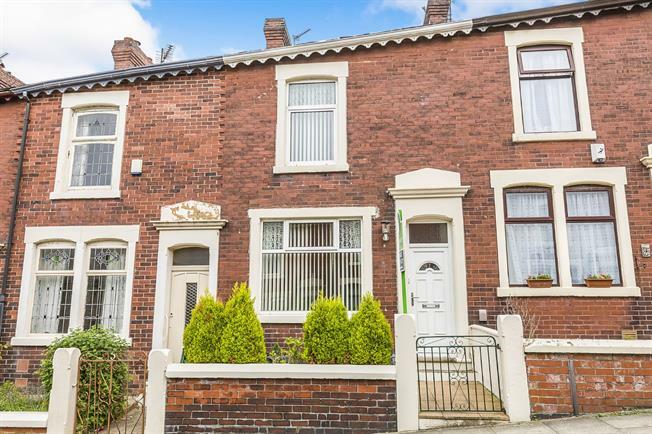 This is a great example of what can be done in a property of this type and would be an ideal purchase for a first time buyer or anyone looking for a property without any work needed.